At Matt Snowball Music, we stock three different formats of acoustic screen for hire from our London warehouse. All are designed to provide acoustic separation between instruments on stage or in the studio, and to minimize acoustic bleed into mics where you don’t want it. 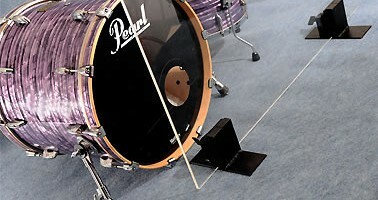 Ideal for drum or orchestral use on stage, this acoustic screen measures 4’ x 4’ and is made from 10mm Perspex. All hires are supplied with flight case and two feet. Great for clearing cables, riser corners or stage boxes, this flexible acoustic screen adjusts from X to X in height. As with the standard screen, it measures 4’ x 4’ and is made from 10mm Perspex. Flight case is supplied with each rental. Easy to transport and set up, this acoustic screen has five folding sections, each 5’6” tall by 2’ wide. Each rental comes with flight case. All equipment we rent out is kept in top condition by an experienced in-house team. We regularly service all stock, that way you can be confident it’s in perfect condition before you take to the stage.